Ready for use antifreeze GW11 (blue) -40C°. Swd Rheinol is a medium-sized independent company, which emerged from the former FINA Schmierstoffwerk Duisburg. Swd has been developing, producing and distributing high quality lubricants and specialities for more than 40 years. 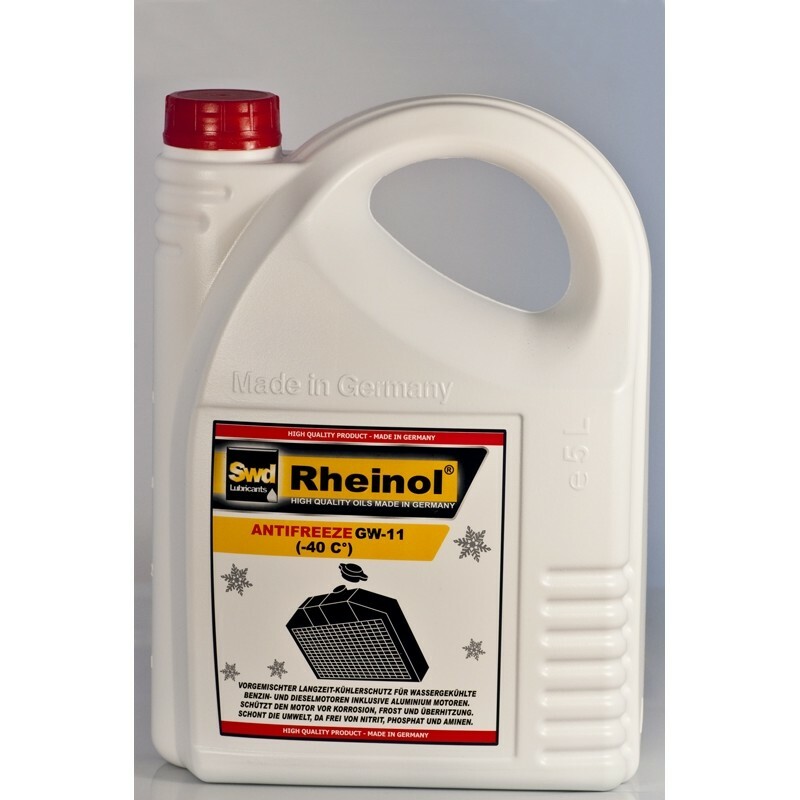 The brand name Swd-Rheinol® has existed since 1998. Our products meets the national and international standards and are carefully monitored in our own quality laboratory. Swd is accredited according to DIN EN ISO 9001, ISO/TS 16949 and OHSAS 18001:1999. We supply well-known oil companies, steel works, mechanical engineering and transportation services, agriculture, forestry, building and automotive industry, local government, the military and mineral oil dealers. You will also find our products in DIY stores and spare part shops. - and therefore offers an excellent logistics infrastructure, ideally suited for prompt delivery to the customer. Our quality reliability, flexibility and comprehensive services have been highly appreciated by our customers for many years.